Northwest ENT, Associates (Chicago) - Book Appointment Online! 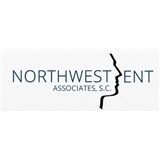 The physicians of Northwest ENT Associaties are dedicated to providing skilled care to patients suffering from a vast array of ear, nose, and throat conditions. Our approach combines compassion, common sense, and current medical evidence in order to provide care of the highest quality. We remain focused on the needs of patients and their families and involve our patients as active participants in their medical care.